The Nigerian government says it plans to use domestic funds to provide antiretroviral drugs for additional 50,000 HIV patients every year, a development that experts say would boost treatment of the scourge in the country. 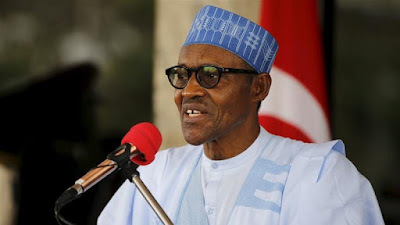 According to a press statement released on Tuesday, President Muhammadu Buhari disclosed this plan at a high-level side event during the 72nd United Nations General Assembly in New York, USA. The event was convened by the President of Uganda, Yoweri Museveni, in collaboration with UNAIDS, the agency coordinating the UN efforts against HIV/AIDS. The side event was meant to accelerate action and get countries on the fast track to end AIDS by 2030. President Buhari, who was represented by the Director General of the National Agency for the Control of AIDS, NACA, Sani Aliyu, said the government appreciates the need to contribute to the funding of the fight against AIDS. “We recognise the impact of the global financing environment and the need for shared responsibility in order to end AIDS in Nigeria by 2030,” he said. In his reaction, Mr. Aliyu welcomed the federal government’s commitment and said it could help end AIDS in Nigeria by 2030.